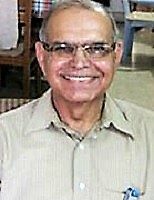 Subhash Chandra, (PhD English, MA Political Science), a former Associate Professor of English, University of Delhi, is a fiction writer. He has two well-acclaimed collections of short stories to his credit – Not Just Another Story (Lifi Publications, 2017), and Beyond the Canopy of Icicles (Authors Press, 2018). More than forty of his short stories have been published in journals, viz. Confluence: South Asian Perspectives (London), South Asian Ensemble (Canada), Intersections: Gender and Sexuality in Asia and the Pacific (Canberra, Australia), Reading Hour, Muse India, Earthen Lamp Journal, Commonwealth Review and others. Subhash Chandra has also published four critical books and a large number of research articles in Indian and foreign journals. He has presented papers at conferences in Australia, Canada, Hong Kong, Israel, Nepal and India. He worked on a Post-doctoral project on fellowship at the University of Toronto. He guest edited a special issue of Intersections on ‘Gender’ (Issue No. 22, Oct 2009), and a special feature ‘Indian College Fiction’ along with U Atreya Sarma in Muse India (Issue 77, Jan-Feb 2018).